Tags, according to Infusionsoft, are pieces of information that you know in advance. They are preferences or behaviors about your customers that you can predict. JotForm now offers two methods of Infusionsoft tag application—static tagging and dynamic tagging. 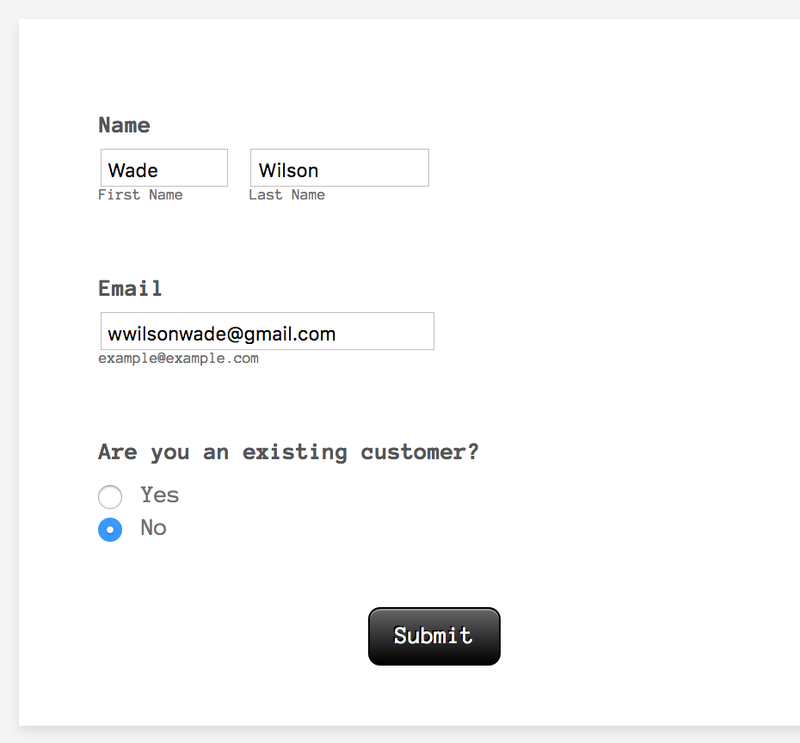 Static tagging lets you as the form owner select the tags to apply to all responses submitted to your form. This is the default and the only previously existing method. Dynamic tagging, on the surface, would simply add a hidden check box containing all the tags available under your Infusionsoft application. However, this is where the fun begins. Exposing the tags as a checkbox field opens up a new world of possibilities. With the tag checkbox exposed (yet hidden from your users), you can select the tags to be added to the Infusionsoft contact made with each form submission. This way, you can preselect the tags without having to run the integrations wizard. Tags can be populated using URL parameters, too. This can be useful when you want to distribute a registration or lead form across different platforms, and track which platform a specific lead came from. You can use URL prepopulation in conjunction with Default values and Conditions for a more advanced dynamic tagging. Let’s say you have an order form or a registration form. You would like to know if the respondent is a new customer, would like to subsequently add a ‘New Customer’ tag to the Infusionsoft contact created. When you select the ‘Dynamic Tagging’ option, a check box (hidden by default) containing all your tags are added to the form. The field’s label can be changed, but the options should not be changed as they are directly tied to your Infusionsoft tags. Add the ‘Are you an existing customer’ question, whether it be a check box, drop down or a radio button. We'll use a radio button field for this example. Voila! Your form now automatically applies the tag to the Infusionsoft contact. Because of dynamic tagging, you can now control most of your Infusionsoft campaign flow. Want to add a user to a campaign based on a customer input? Simply add a tag to a campaign. Once this tag is added to a contact (via conditions and dynamic tagging), the user will also be added to this campaign automatically and seamlessly. There are plenty of other use cases for conditional tagging. For example, you can add multiple rules to your conditions, or provide users with links pointing to the same form but containing different parameters that will fill in the corresponding Infusionsoft tag. I am not able to have this work if more than 1 check box is checked. Only the first condition that is connected to a selected checkbox works. All 3 options have conditional logic to calculate the Infusionsoft field with the appropiate tag. Also, let's say I want to use this to update an Infusionsoft contact, and I only change one field, leaving all the others blank. When it updates the existing contact, it "blanks out" the original values from the infusionsoft fields. When all I really wanted to do was update the one that I modified. Is there a way to accomplish that? Can this be used to conditionally remove infusionsoft tags as well? Can we do both? I have an existing integration with Static. If I switch to Dynamic will that break the tags that are currently set to be attached there?